Popular Enneagram authors commonly name Type Twos the Helper, Giver or Nurturer because they are giving, empathetic and friendly. Twos define their world through interpersonal exchange – the giving and receiving of love, kindness, and caring. They are sincere in their helping efforts and have a great capacity for empathy and emotional understanding. Twos are unique in their seemingly boundless wellspring of energy that they use in their service to others. In this way Twos are among the most warm-hearted and friendly people that you will ever meet. 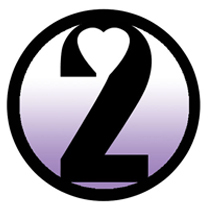 Type Twos value love and nurturing, and they envision making the world a more loving place. Type Twos focus their attention on what others want and how to gain their approval. Friends value them and seek them out for their empathy and warmth. You might be a Type Two if you focused on service, relationships, helping others, and you sometimes lose yourself by taking care of others. Types Twos excel at working with people. They tend to choose fields that harness their empathy and nurturing skills such as elementary school teacher, stay at home parent, hospitality industry, and caretaker. Twos may choose to work with non-profit organizations that help others. Twos also have a creative or crafty side that enjoys fashion, crafts, baking, set or costume design. Twos tend to serve certain roles for others including being the nurturing friend or mother figure, a guardian angle, an eager helper, a shoulder to cry on, and “the power behind the throne. Type Two’s weaknesses and negative tendencies surround feeling hurt, unloved and unappreciated for their service. Their help can become corrupted with expectations be used to manipulate others. When Twos are unhealthy they may foster possessive and co-dependant relationships and purposely disempower their loved ones in order to be needed. Their practice of focusing on others, people pleasing and self-sacrifice and can lead to a loss of self-identity and lack of insight into their own needs. They can become prideful of their service, have a feeling of self-entitlement and deal with significant anger and resentment. Although weight gain always has a multi-faceted cause, there are some typically behaviors of Type Two seen in the Big Five personality Trait system that encourage them to gain weight. When compared with other Types, Two’s score the higher in “Agreeableness” than all other Types. They also tend to score relatively positive on “Extroversion” and “Openness.” These traits combine to create a level of impulse control that tends to less than that of the more “Conscientious” types such as Type Threes or Ones. As their identity is wrapped around the helping and nurturing of others, Two’s find it difficult to resist food temptations when they are feeding, hosting or have an opportunity for a shared food experience. Type Two’s tend to be cheerful, warm and a source of great energy. Two’s activities are centered around others and when faced with sticking to their exercise plan they can easily be sidetracked to the agenda of their loved-ones. When they manage to channel their energy for self-improvement or for sports, then they have a hands-on, all-in, pragmatic, and get-things-done attitude. In terms of being a workout partner Twos are welcoming, open to new workout routines, easy to get along with and enjoy others company. Twos make friends easily and this is a personality strength that they must capitalize on when losing weight. If the Two is being active, then they may be walking and talking with a friend or loved-one, they may be going to the gym with a special buddy or walking their dog. Twos enjoy any number of activities and may especially like them if they know the activity is also helping someone else improve as well. If a type Two gets a tattoo is often beautifying adornment such as a small butterfly, heart or sweet animal. It is likely to be an inviting conversation piece or a symbol of family love — names or faces. Two want to their home to project a “lived in” appearance and they decorate it in a manner that projects warmth and comfort. They play close attention to decorations and crafts more than other types. When they know company is coming they may bake a cake so that it smells inviting or nurturing. They may have multiple pets for their unconditional love. Twos work hard, within reason, to keep the public spaces presentable. They will likely, however, be very sloppy and cluttered in their own space. The classic situation is their closet that they can barely close. The condition of this space doesn’t matter to them unless it is affecting their relationships. In terms of how they judge their bodies, they tend to not be focused on their bodies, judge them leniently and evaluate them based on their ability to serve others. They tend to downplay the importance of physical appearance because they will always be able to help people in some way no matter what state of health or appearance that they maintain. Because Type Twos merge their identity with their service to others, they depend on others to “fan” their ego. If they do not feel significantly appreciated, then they start to feel unworthy and begin to become distressed or pour additional energy into service. Overall they tend to ignore their own body development. Unless the healthy lifestyle is framed as a gift to the family and friends then it will likely be felt as selfish and continually be neglected. Type Twos over-express their feelings and emotions of love. Food can be seen as synonymous with love for Type Twos. They see food as a direct or physical way to express love (nurture) or easily connect with their loved-ones through food preparation or over a shared meal. Food is a perfect medium for creative energy in the Type Two. In this way Twos often become good cooks or bakers and frequently give their home-cooked foods away as gifts. Twos who feel underappreciated will attempt to nurture themselves with comfort foods and may be prone to binging behaviors. Type Twos crave “Comfort Foods.” These are foods that their mom used to make — sweets that had been used to liven their spirits as a child or made on a special occasion. Type Twos feel that food is the way to someone’s heart and see food as nurturing emotionally as well as physically. The online book, “Your Fat, Your Fault,” suggests that Type Two’s food metaphor is that food is the “currency of love,” or is a self-reward. Type Twos enjoy shopping with others or for others. They love to bring home gifts from the store, and may buy presents months in advance. Shopping for others is a perfect excuse to get them in a dangerous calorie environment at food stores where there are lots of snack foods available. Type Twos’ favorite meal settings are in the company of others and serving meals that they have prepared. They often know people’s favorite foods or how to prepare foods in the specific way that others prefer — “just the way mom use to make” or “I cut the crusts off of Kimy’s bread on her sandwich because she likes it that way.” Type Twos use food as a doorway into their loved-ones’ hearts. Type Twos generally hold positive feelings toward mealtime and arrange for social meal gatherings. It may be difficult for Type Twos to imagine social situations that do not involve food. For Type Twos food and food preparation is central to their lives and relationships. Twos use food as an outlet for their creative energy and may have a decorative flare to their cooking. They seem to have an almost endless supply of energy for others. Type Twos usually learn quickly how to cook and other crafts that are endearing to others. Where Twos avoid self-development in other areas, they greatly develop their service crafts. Type Twos want to share their food experiences, and give away baked goods to others. They use food as a connection device. They often choose foods that are comfort foods to nurture themselves or others. An issue they may face is overeating if it brings them closer to someone else. They may choose a food that reminds them of being comforted. Twos oftentimes know the food preferences and favorites of others, and may choose to eat someone’s favorite food together. Food is also used as a way to satisfy or fill emotional emptiness, unhappiness or feeling underappreciated — food as emotional medicine. In this way Type Twos may find themselves prone to abnormal eating patterns ranging from simple “pick-me-up” snacking to eating “behind closed doors” or self-pitying binging behavior when they feel underappreciated. In this way food is their “emotional medicine.” Knowing these associations is the first step in moving toward a healthy eating pattern. Some hidden calorie situations for Type Twos include their office desk candy bowl. Type Twos enjoy the social and inviting aspect of the candy bowl, and it seems harmless but it encourages them to snack. Also they tend to overeat while cooking and serving food to others. Twos must be careful when they go to buy gifts that they are not buying food to share, or sweets because they might buy a sweet for themselves as well. Also, Twos should beware of eating during food preparation and baking. Twos order comfort foods and are aware how their order affects others. There may be someone on the table that wants to share a meal or try their food as well. Although sharing meals in a restaurant may cut down on the portions, Twos must beware how others’ preferences influence their order. Type Twos’ foods or food settings that most represent them are comfort foods, shared with a friend or a loved-one. Especially a meal that they cooked or that may be their loved-one’s favorite meal. In regards to Types Twos adopting food changes or healthy substitutions into their diet — they will have a hard time if the food is not also adopted by their loved-ones. Also, Twos are loathed to adopt a diet plan because they use comfort foods to express love and connection, Twos with others. Type Two tends to prefer non-competitive and enjoyable physical activities. They are known are among the “Complaint Types” that tends to look outside themselves for goals and feedback – following the recommendations or fitness goals of their friends, coaches or doctors. Twos typically exercise with their loved ones or work associates and don’t mind having a shared goal. Their motivations for exercising are not usually intrinsic. They may be others goals or be revolve around doctors’ recommendations to be healthy or lose weight. Health and fitness usually takes a back-seat, however, to competing service demands that sap their energy and motivation for self-improvement. Type Twos may even see being healthy as a selfish goal and prevent them from becoming fit. If health is a part of their loved ones or goals, then Twos are usually willing to bend to their specific fitness agenda or workout style. This is very good in that Type Twos are faithful and caring workout partners. Type Twos expend a great deal of energy throughout the day in activities that involve helping others and performing deeds of service. They seem to have limitless energy for this type of activity. It is nice when these activities involve physical activity and less so when they involve eating and indulgences. Twos like exercise that maximizes interaction with the people they love or care about. If they are playing sports, then Twos enjoy a positive, non-competitive or team environment. They enjoy intimate walks or shared fun experiences that they can talk about later. They enjoy exercise as a bonding or “special” time with their partner. It is nice if the Two feels like the exercise time is gift to others as much as it is a gift to themselves. They may be a dog owner and enjoy long dog-walks. Twos like social exercise and they are caring workout partners or teammates. If they are involved in “loner sports” such as running or swimming it will have a strong team component. Even though Twos are highly social, they learn to appreciate the “quite” time of a long run, swim or bike because that they can center and listen to their own inner thoughts and passions. The biggest limitation for Twos is neglecting themselves due to competing duties and volunteerism. Burn-out for a Type Two is a spiral because the more they help others the less time they have to live a healthy life. The goal is for them to see fitness as a way to be more available, energetic and compassionate to others. In terms of maintaining a program, Twos are notorious for allowing their competing duties for family, work and friends stand in the way of their health. They feel that they cannot break themselves away in order to exercise. The problem is when the Twos live in a toxic environment or when they are perpetuating these environments because of their loyalty and disempowerment of others — such as frequently baking others their favorite cheesecake or allowing their kids to skip soccer practice so they can be together. Twos are pretty much game for anything in terms of exercise and they are willing to try new routines. They don’t mind following the exercise prescriptions of others or their partners. Twos have a high pain tolerance in general — as they are willing to withstand a great deal of psychic pain and have a great deal of personal patience in order to help others. This translates into their exercise intensity less so during lone events but they can have a strong intensity dial during team events. Twos who are not currently exercising may blame it on their family, work and social commitments. Twos who are exercising may blame missed workouts on the same. Even when they prepare to workout they may become distracted by life — “this person needs me.” It is important for Type Twos to schedule exercise and announce to their loved ones that a certain time of day is set aside for them to exercise. The more they can along their environment to be healthy then the more success they will have. In terms of pre-performance anxiety Twos fear being unlovable or unworthy of love and their level of fitness can correlate with this fear strongly to become a self-fulfilling prophecy. They must be aware when their desire to be with others is hurting sapping their fitness motivation. Performance anxiety, on the other hand, is not as strong as getting over the decision to workout in the first place. Twos find that once they are there, then they are not scared of the activity or afraid they will be embarrassed as other types may feel. Post-performance feelings for the Two are usually positive and they can give themselves a “pat on the back.” Of course the always worry they are neglecting others and Twos must not allow these creeping feelings to stop their progress.